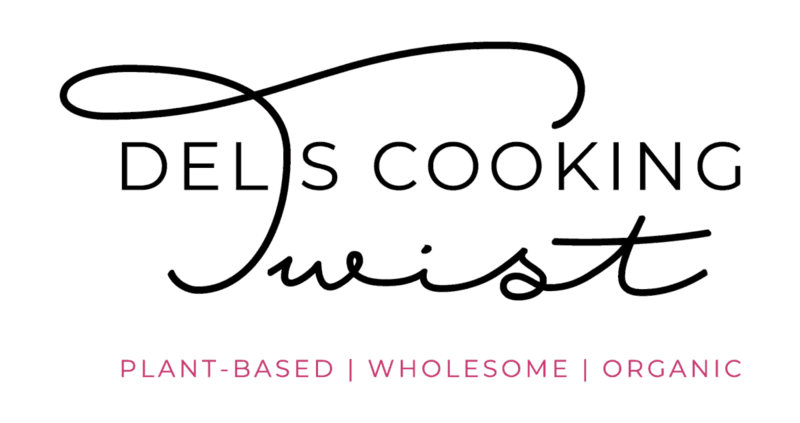 Easy comforting recipes prepared with seasonal ingredients to warm you up from the inside so you can enjoy fall at its fullest. The weather is a little bit confusing lately in Chicago, with endless summer days and hot temperatures, although we are turning to the first day of fall tomorrow! I do not complain and feel indeed lucky to be able to enjoy such a long and beautiful summer. 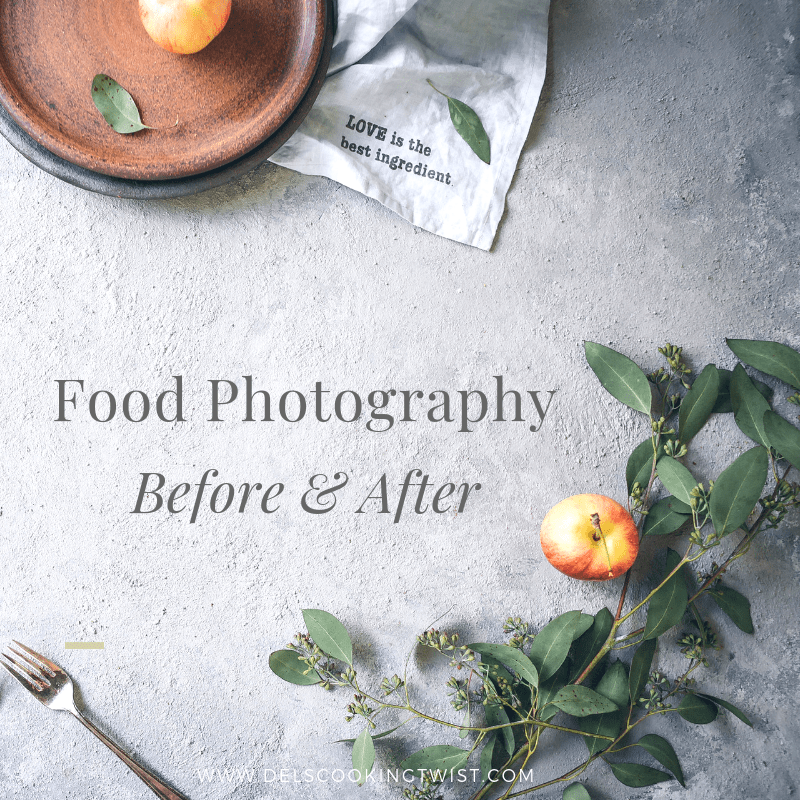 My food routine has already changed a little bit however, and I’m already prepared to start cooking fall vegetables and other seasonal ingredients. 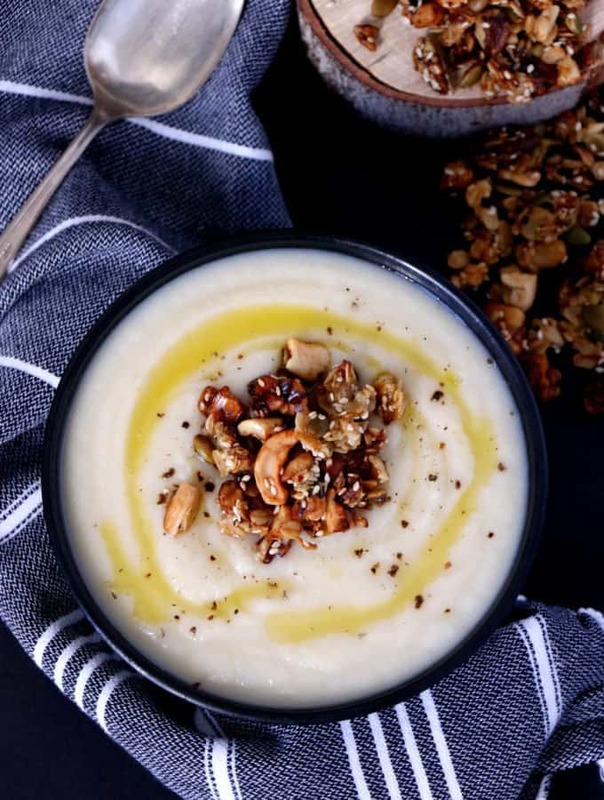 Among seasonal ingredients from September to November, you will find pumpkins, apples, pears, raisins, mushrooms, root vegetables and all kind of nuts. In order to help you find inspiration, I prepared 20 cozy recipes to welcome fall. Make your market and enjoy! 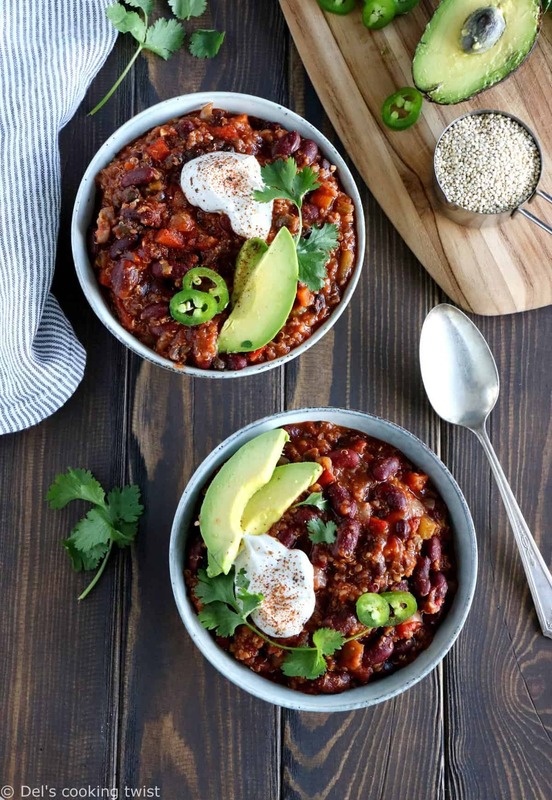 One-Pot Vegan Quinoa Chili – Hearty, smoky, flavorful, this chili is what you need to cheer you up when the days are a little bit cooler. Prepare huge quantities and keep leftovers for lunchbox, or freeze. 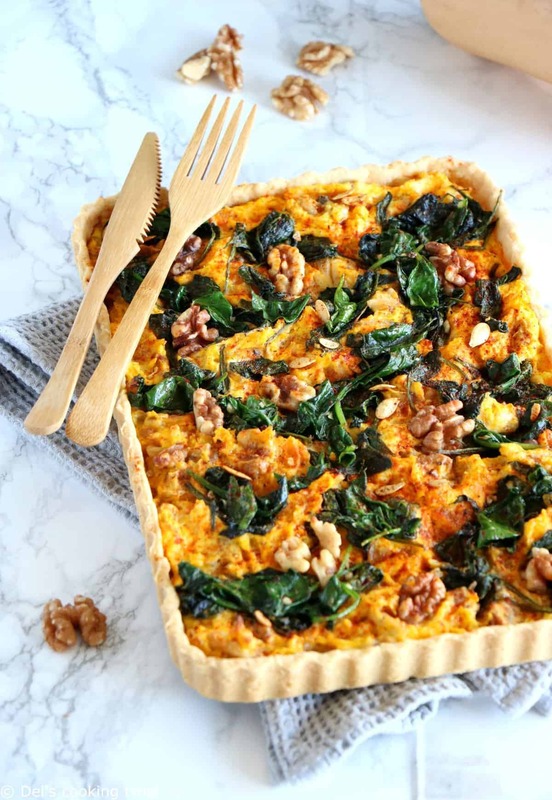 Pumpkin, Spinach and Goat Cheese Tart – This comforting fall dish bursting with seasonal flavors is an award winning recipe. It brings everyone together. Balsamic Brussels Sprouts with a Creamy Goat Cheese Polenta – This is one of my fall favorite. 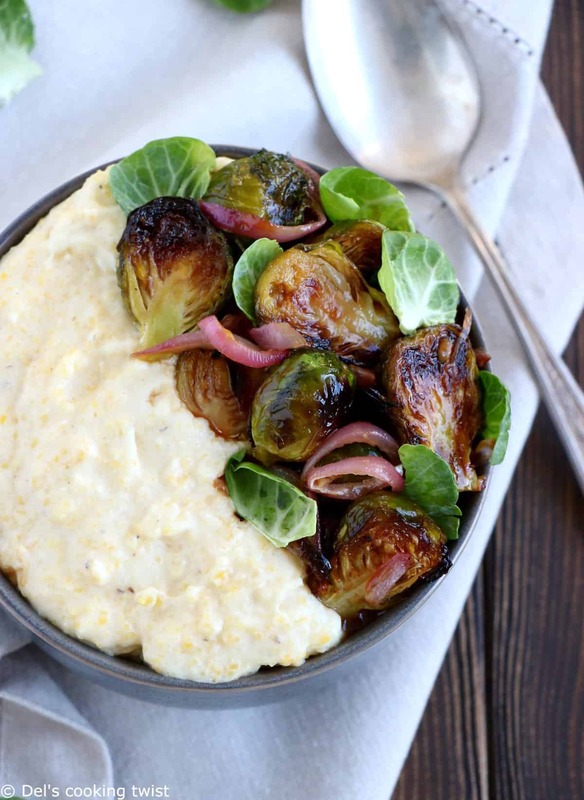 You will love the sound of sweet balsamic roasted brussels sprouts and red onions in a creamy polenta. Best American Pecan Pie – The one and only pecan pie I prepare every year. It’s easy, sweet, crunchy and looks fabulous too! 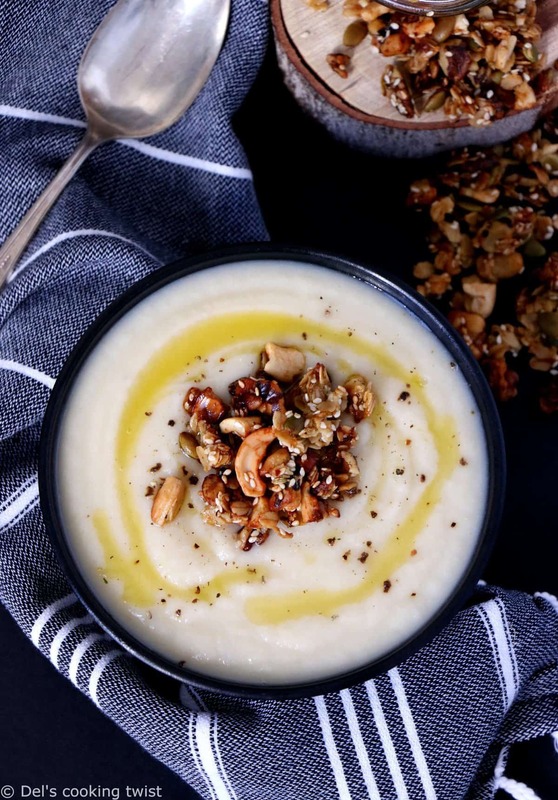 Vegan Celeriac and Parsnip Soup with a Savory Granola – Eat good, feel good with this root vegetable soup, topped with the most delicious homemade savory granola you will ever find. Spiced Pumpkin Butter – Prepare your own pumkin butter; I swear it’s easy and you can then use it in your yogurts, bagels or with anything you would like! 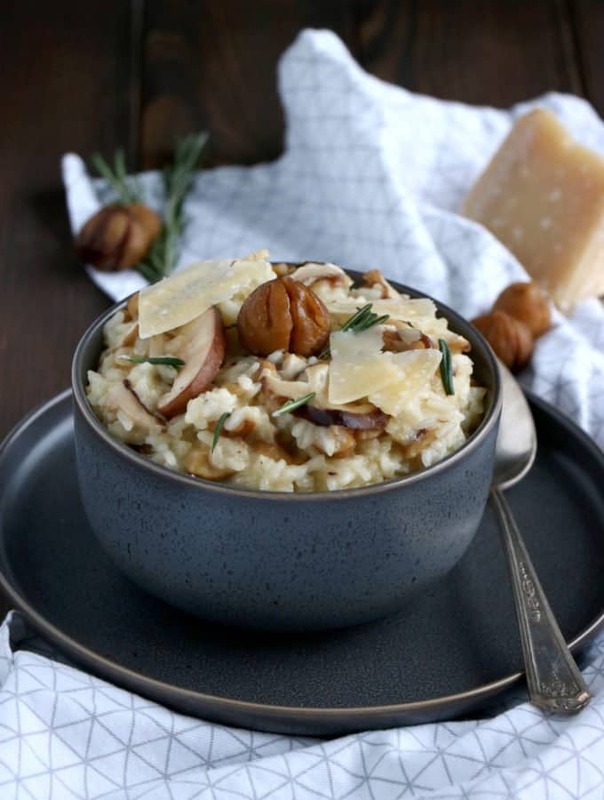 Shiitake Mushroom & Chestnut Risotto – My husband is usually the risotto expert in our family, except for this one! Prepared with Shiitake mushrooms and chestnut, it is bursting with seasonal and comforting flavors. 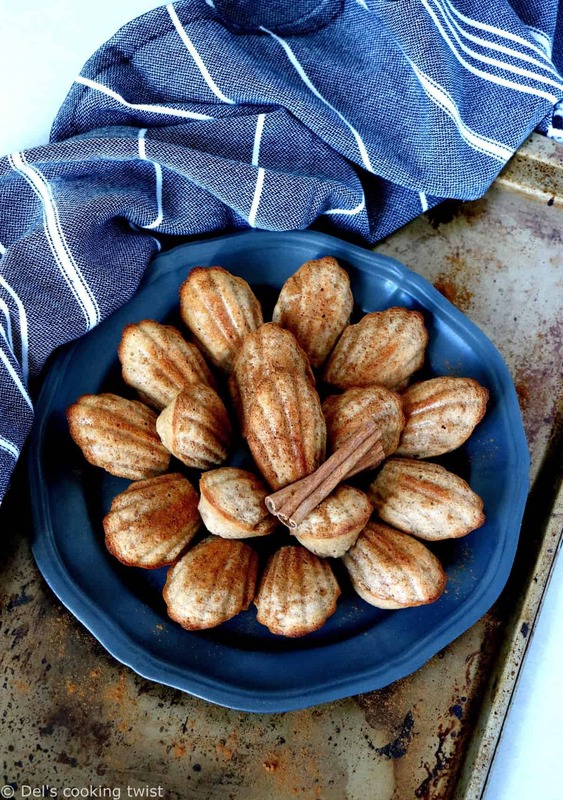 Pumpkin Spice Madeleines – Who could resist an adorable tiny madeleine with a warm cup of tea or coffee? I added pumpkin spices to make it seasonal. Delicious! 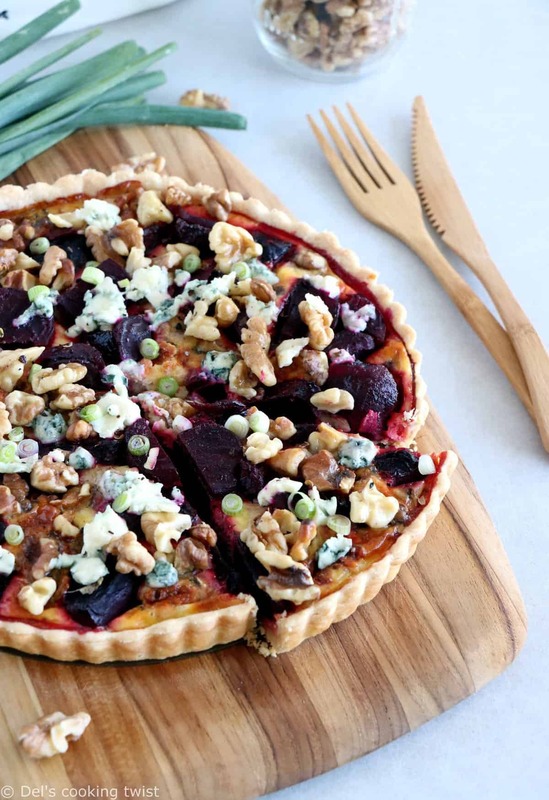 Beetroot, Blue Cheese and Walnut Tart – It’s a favorite in our house. Between roasted beets, strong blue cheese and crunchy walnuts, this tart is everything. 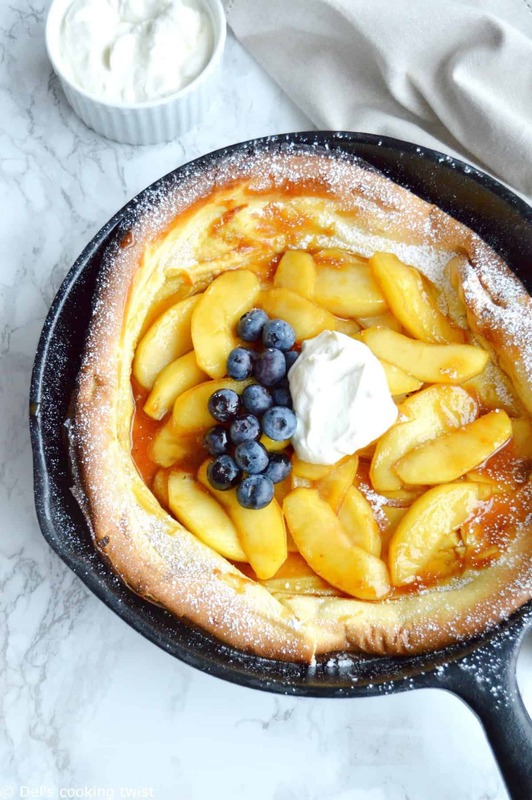 Apple Dutch Baby Pancake – For your lazy Sunday mornings, replace the classic pancakes with this easy Apple Dutch Baby Pancakes. 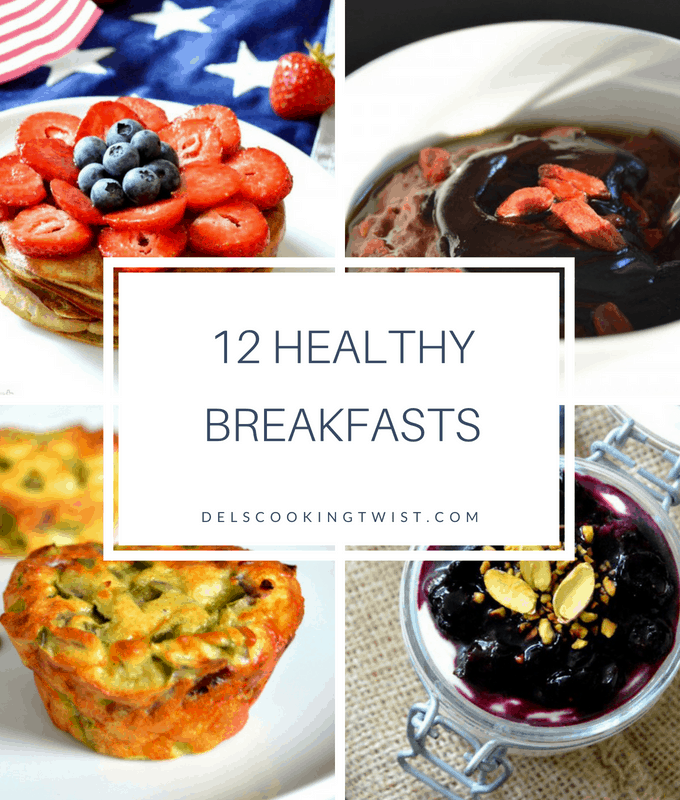 It is prepared in one pan and baked in the oven. So easy! 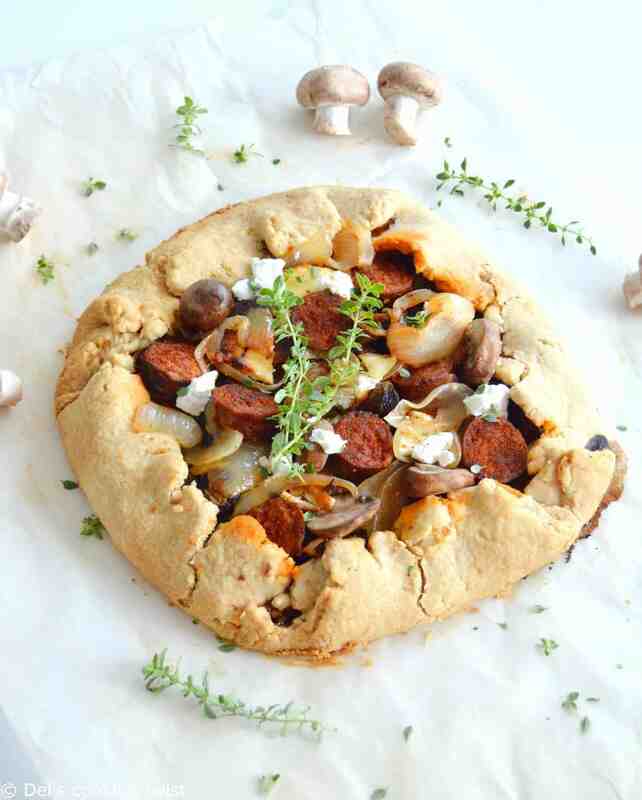 Rustic Goat Cheese, Chorizo and Wild Mushrooms Galette – This rustic galette is loaded with wholesome seasonal ingredients and is 100% egg-free. 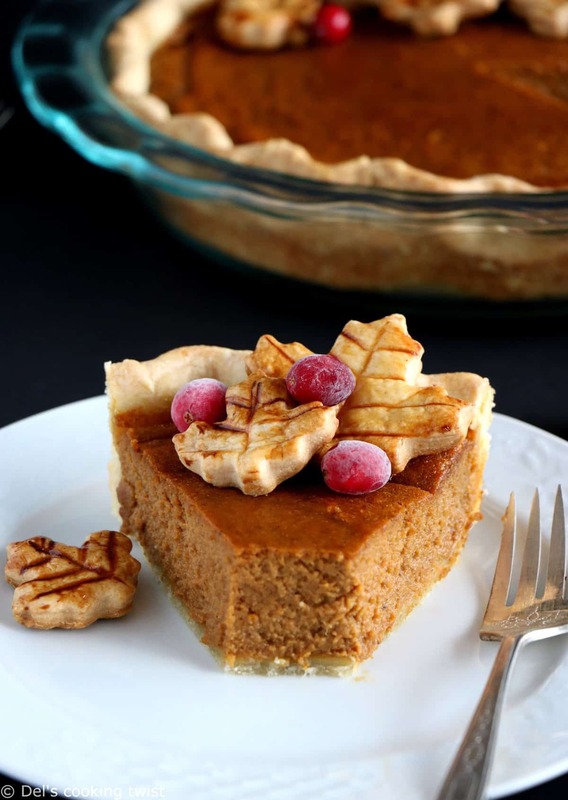 Classic American Pumpkin Pie – I call it the Great Pumkin Pie. The recipe everyone is asking for. Made entirely from scratch with plain, natural ingredients, it’s the only one you need for Thanksgiving! Buttermilk Banana Bread – I dreamed about it again last night, I’m not even kidding! This banana bread recipe is your favorite one for years. 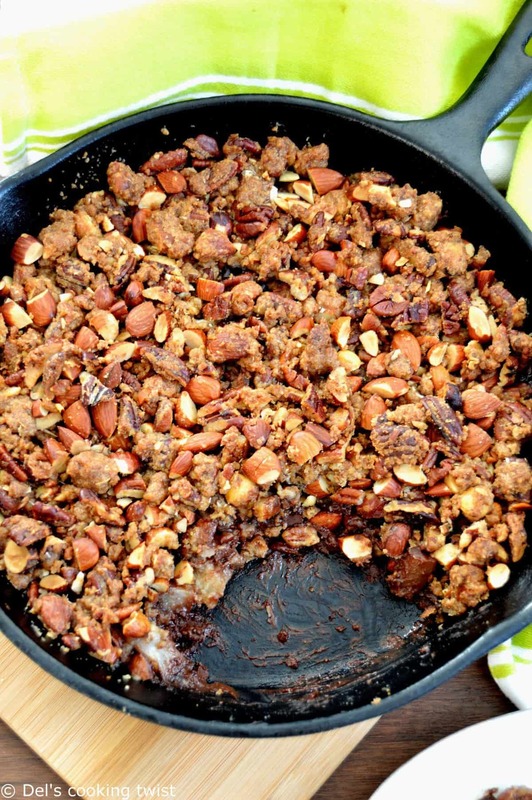 It’s easy, moist, and you can add any ingredients of your choice: chocolate chips, pecans… Make it yours! 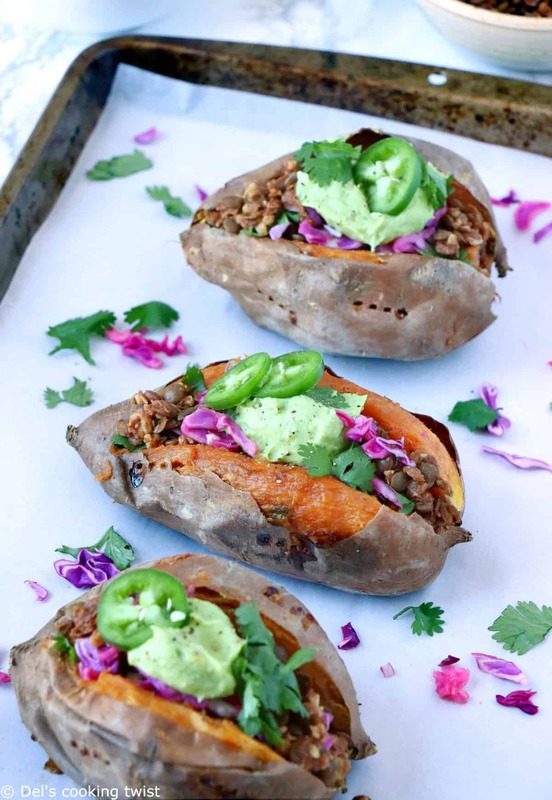 Taco-Stuffed Sweet Potatoes – These sweet potatoes are loaded with a meat-alike lentil filling prepared with a taco spice mix. 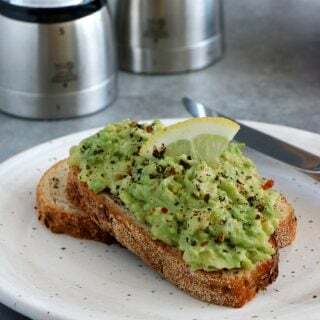 Top with a simple avocado cream and enjoy! American Apple Pie – Prepared with a fool-proof pie crust recipe, this apple pie is prepared with a delicious cinnamon-sugar apple filling and topped with a crispy lattice crust. 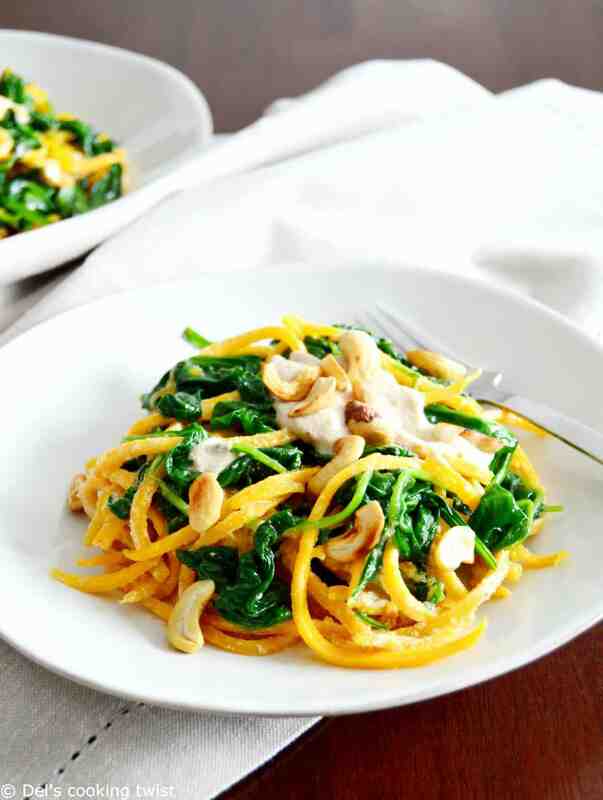 Butternut Squash Noodles with Spinach and Cashew Sauce – The best fall vegan dish you can ever imagine. Squash noodles can be replaced with diced pumpkin, but make sure you don’t skip this fabulous creamy garlicky cashew sauce! 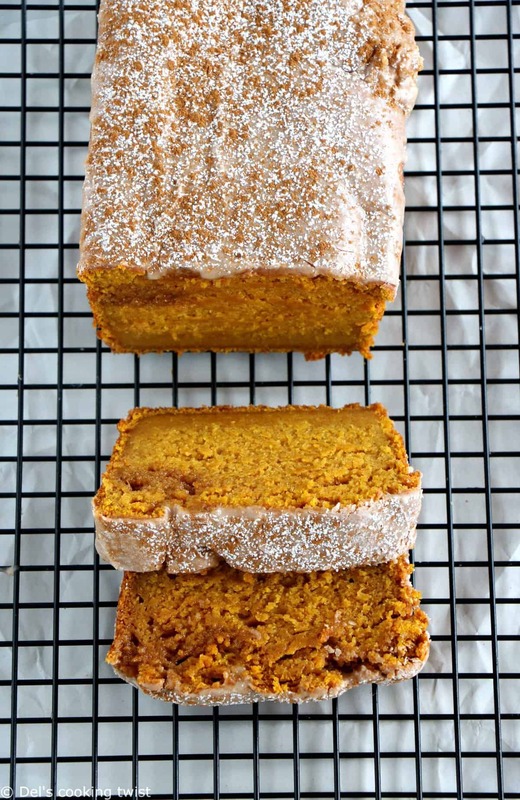 Best Pumpkin Bread – We all need a pumpkin bread recipe. This one is simple, quick, moist and oh so delicious! I recommend the icing part too! Saffron Pear Tarte Tatin – Apple Tatin is overrated so I made you a pear tatin instead and infused pears in saffron. 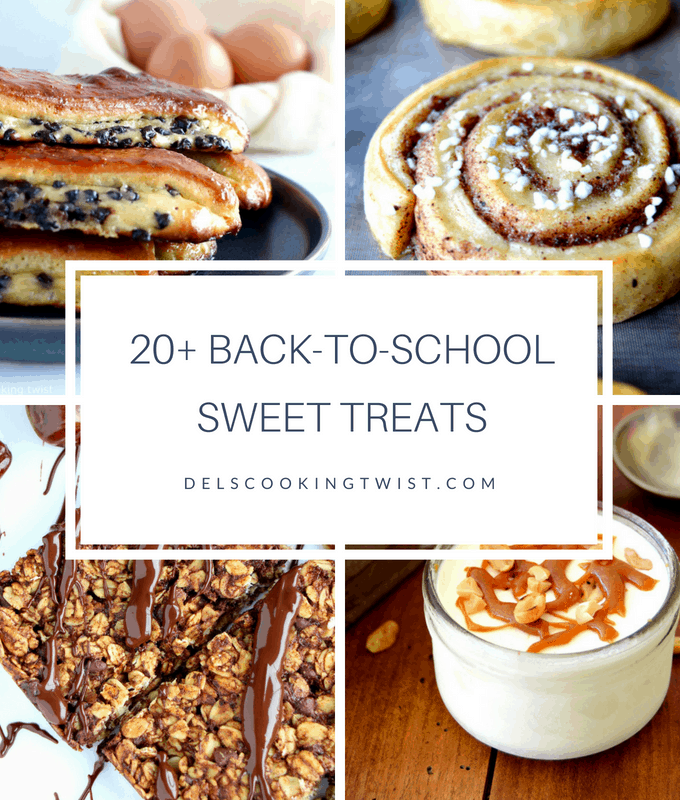 An original gourmet dessert to try this fall! Crunchy Pecan, Pear & Chocolate Crumble – This dessert is named addiction! You have here all the comforting flavors of fall, with a soft, juicy and crunchy texture at the same time. Give me a spoon, please! 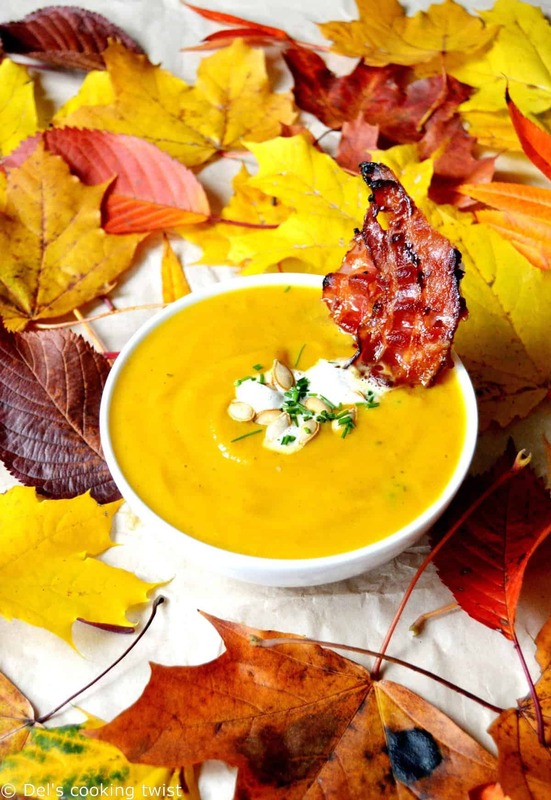 Roasted Pumpkin Soup – This easy classic roasted pumpkin soup will bring you comfort and warm you up when the first chilly days of fall are showing up. Il est vrai que l’automne est une saison qui annonce l’arrivée des mauvais jours mais alors quel plaisir de pouvoir cuisiner tous les légumes de cette belle saison !! Tes recettes sont toutes plus tentantes les unes que les autres !! Je vais me régaler à venir te rendre visite régulièrement pour préparer bon nombre d’entre elles !! Oh là là ! 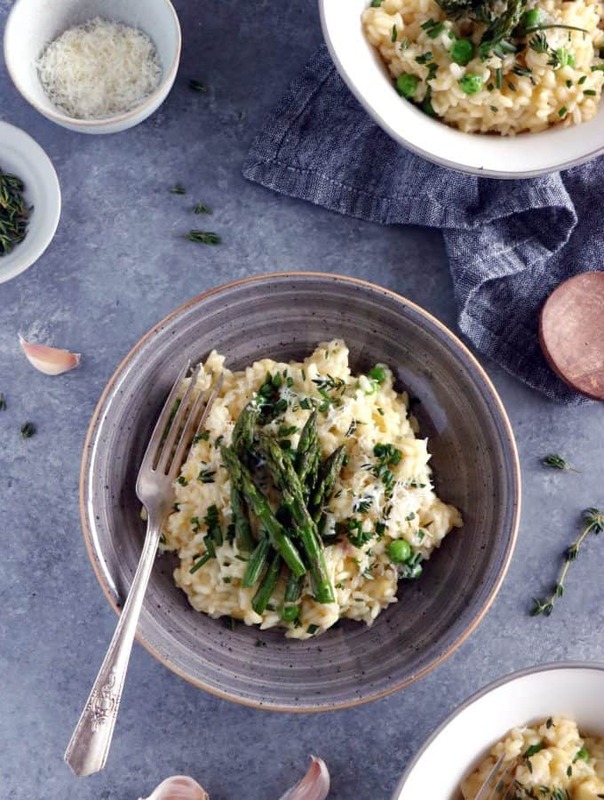 Que de belles recettes, j’ai envie de toutes les tester ! Merci pour ces belles idées, la cuisine d’automne est magnifique. j’adore vos recettes, et même si le temps me manque pour les faire, elles me font voyager rien qu’en les lisant. J’en suis ravie Isa, merci beaucoup, c’est toujours un plaisir de lire de tels retours 🙂 Très bon week-end à vous! Que de belles recettes qui donnent l’eau à la bouche dis donc ! C’est vrai qu’il fait chaud à Chicago, de quoi être perturbé ! Mais l’envie de douceur et d’automne est toujours présente. D’ailleurs ça va bientôt faire un an qu’on s’est rencontrées… Que le temps file ! Tout un tas de recettes plus appétissantes les unes que les autres ! Et oui, l’automne s’installe peu à peu mais je suis là pour apporter un peu de réconfort avec des recettes toutes douces, saines et généreuses à la fois. Très bon week-end à toi Véronique !